Description:Newfields Wharf was at the end of the short Newfields branch off the Potteries Loop Line. In the background are buildings on High Street, Sandyford. 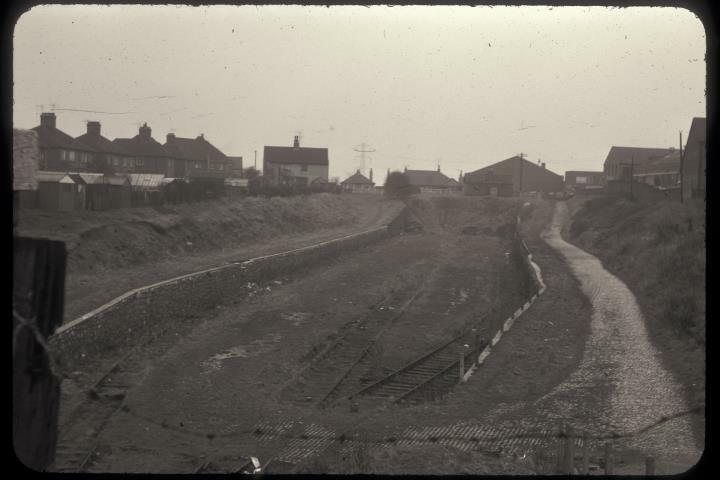 The photograph was taken from the railway bridge in Adams Avenue. 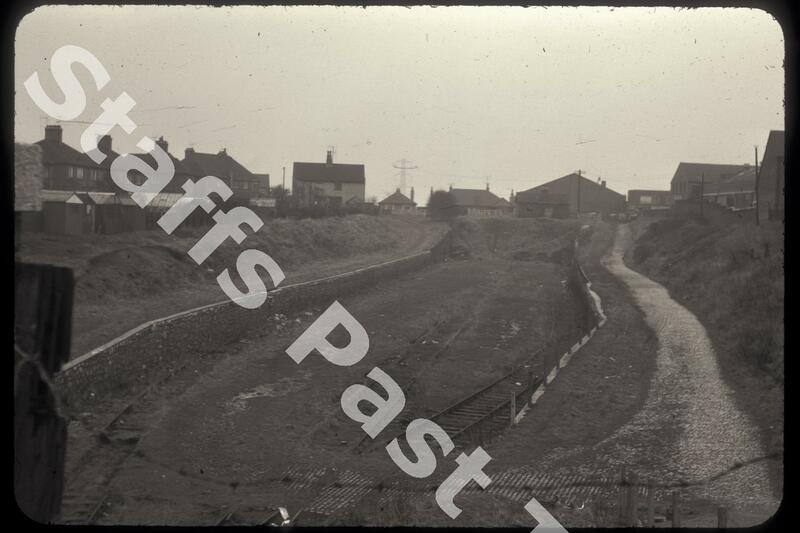 The Newfields branch was meant to serve Newfields and Clanway Collieries, and Adams and Newfields Pottery. The freight only line was closed in 1959 and part is now a walk and cycle way. An industrial estate now occupies the wharf site.